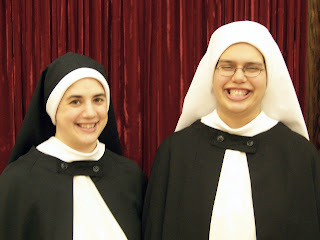 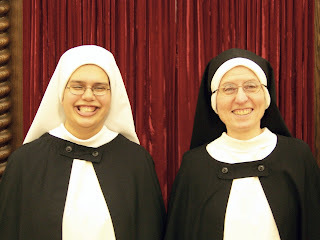 St. Joseph Gives Us Two New Novices! 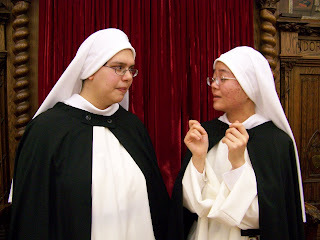 In a private, family ceremony in our Chapter Hall Sr. Deepa and Sr. Giang began their novitiate and received the long-sought for holy habit of the Order of Preachers! 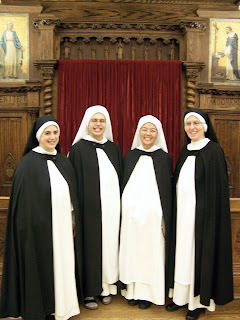 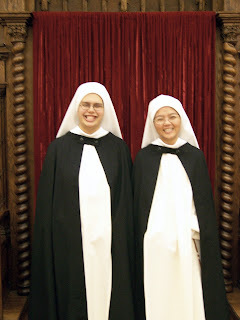 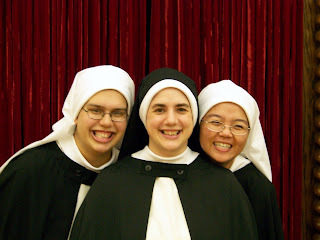 Please pray for our new sisters that they may find joy and a long life in the Order Preachers! 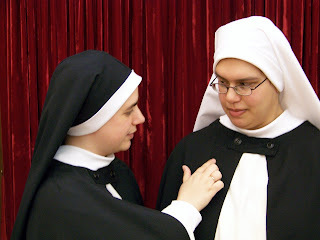 Sr. Mary Catharine, ever the novice mistress fussing over Sr. Veronica Marie's cappa.